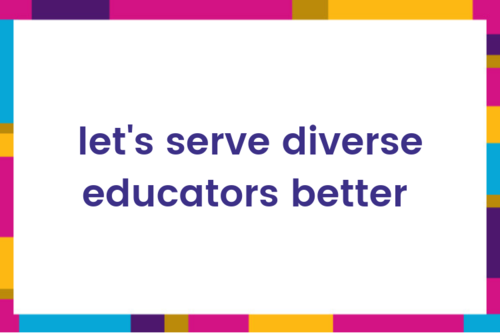 Hey, diverse educators and admin! We're looking for you! We're teaming up with local independent schools to offer an awesome hiring event aimed at bridging the gap between diverse educators, and private & independent schools. You could say schools are getting #woke and learning to serve the needs of diverse educators better than ever! At this event, you'll meet 20+ spectacular schools committed to bringing change in their schools. You can expect face-to-face introductions and interviews directly with hiring staff. You can ask the hard questions important to you and learn how independent schools are changing to serve diverse educators. Submit your resume and RSVP now! Candidates of vibrant, multicultural, diverse backgrounds who are interested in learning more about the benefits of working in independent schools. Both school leaders and teachers looking for new opportunities are encouraged to attend. ​​WHAT IS THE SOUTHERN CALIFORNIA DIVERSITY JOB FAIR? A diversity recruitment event with workshops and discussions on equity, inclusion, and diversity in education. Opportunity to meet over 20 independent schools in Los Angeles in one place. Perfect place to ask questions and have face-to-face interactions with important hiring managers. Hear from Reveta Bowers, retired Head at the Center for Early Education and a leading expert in independent school education including serving as the Lead Faculty Member for the NAIS Institute for Aspiring Heads. WHAT SCHOOLS WILL BE THERE? HOW DO I RSVP? HOW DO I GET AN INTERVIEW? You must send in a resume by Friday, February 15th in order to participate. Fill out the form below so that we can do all of the work for you! We'll connect you to schools and assist with scheduling interviews during the event. Be sure to ONLY RSVP through us and not the event's website directly! We want you to take advantage of our contacts at each school and assist you with the interview process!